The reef on the outside corner of Maamigili is a shallow platform that extends from the corner to the outer atoll rim. Sharks, grouper, pelagics, stingrays, and turtles are common here. Sharks are common on the outside corner of Maamigili. On the inside of the channel are small caves, white-tip reef sharks, Napoleon, stingrays, and turtles. 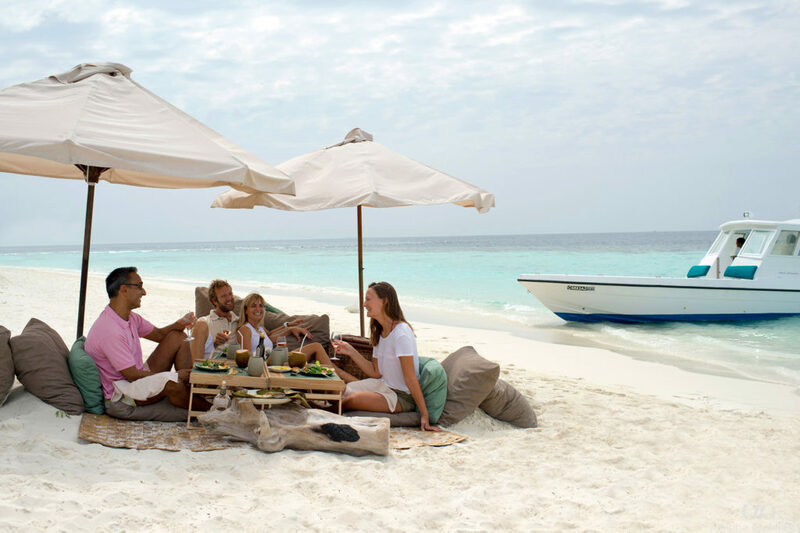 Divers should be wary of strong outgoing currents through the channels on both sides of Ariyadhoo. One look at a map will show the funneling effect the reefs have in directing currents through these passages. The big reef west of Ariyadhoo is Fenfushi Faru – the longest reef in Ari Atoll at 15km in length. The inside of the reef has little to offer in the way of diving, but the outside reef provides excellent visibility, long and easy drift dives, and many surprises including sharks, big tuna, turtles and good-sized grouper, as well as smaller fish. 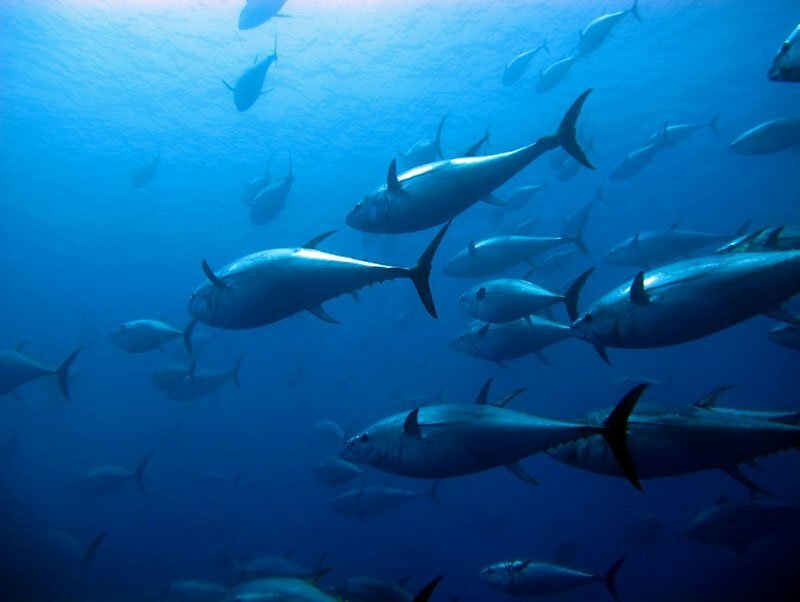 The outside reef provides excellent visibility with big schools of tuna. On the outside of Bodufinolhu is a 30-meter-deep thila that comes up from the ocean depths 50 meters from the outside reef. Big fish and sharks tend to be attracted to this site. 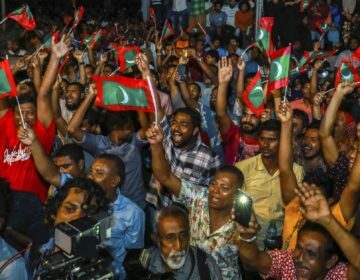 On the north side of Huruelhi Faru is Hukurudhoo Dhekunu Kandu, often called Huruelhi Kandu, a 30-meter deep channel where there are sharks and pelagic fish. 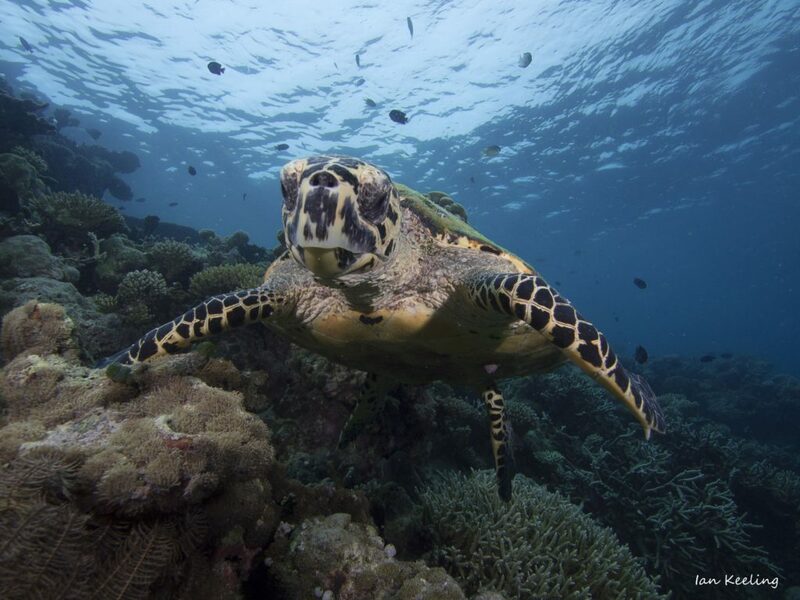 To book an incredible diving experience on any of these reefs, click here. Both sides of Rangali Kandu make exciting drift dives. The reefs here act like a funnel, forcing the water at accelerated speed both in and out of the atoll. During the north-east monsoon, manta rays feed on the plankton-rich waters that generally flow with the currents out of the atoll. At the northern end of Faruhuruvalhi where many of the dives begin, there are erosion gutters on the reef top between five and 10 meters. They are one meter wide and just as deep and have been formed by heavy seas and strong currents. Here the reef slopes to 15 meters and then drops quite sharply to 25 meters. There are many cavities in the reef, some overhangs, caves and two swim-throughs all with sea fans. All along the reef are blue-striped snapper, Napoleon, parrotfish, basslet, and juvenile and adult midnight snapper. In the caves are numerous squirrelfish and the occasional lionfish and on the reef top are excellent table corals. During the north-east monsoon, manta rays feed on the plankton-rich waters that generally flow with the currents out of the atoll. 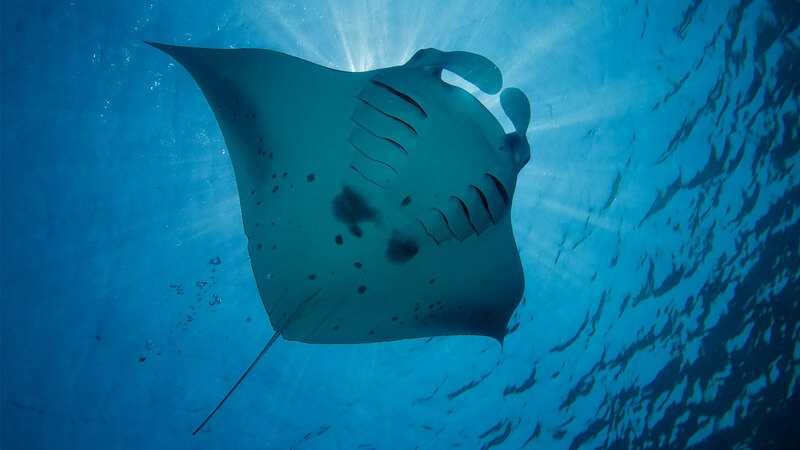 The reef is subject to strong currents – which is one reason why the mantas are here – and at the southern end, the top reef drops down to a 10-meter plateau extending well out into the open ocean. Be prepared to abort the dive if currents are too strong or the seas too rough. Safety balloons should be carried. Rangali South is a classic, long drift dive with steep walls to 25 meters and many ledges and overhangs undercutting the reef. There several big caves with sea whips, and some small sea fans and a number of isolated coral rocks on the edge of the wall. A wide sand-floored inlet with coral rocks on the bottom at 25 meters divides the reef into two halves. Good-sized morays are well-established on the reef, and large grouper move cautiously around the back of the caves. Electric stingrays can be seen on the sand and in the channel sharks, and eagle rays are sometimes sighted. On the reef top is a wide range of marine life including hawkfish and damselfish. Double bar goatfish, yellow boxfish, coral hogfish and aggregations of arrow dart goby are all vying for space. 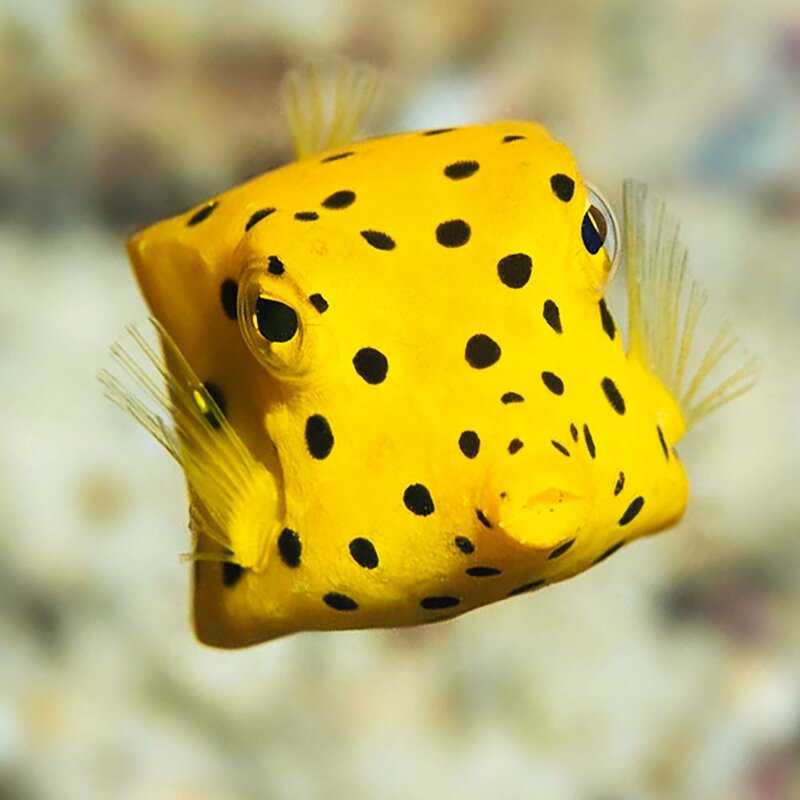 On the reef top is a wide range of marine life including yellow boxfish. Most of the reefs on the west side of Ari Atoll are wave-affected, and the corals are gnarled and stunted. This reef is no exception. It is an easy outer reef dive with the top of the reef at 10 meters. If divers look carefully, they may find leaf fish in shallow water and nurse sharks among the coral bombies. There are many surgeonfish, including the big-nose unicornfish, as well as large-eye emperor, parrotfish, and aggregations of tailfin batfish. Mollusks such as leopard cowries and spider shells can also be seen. 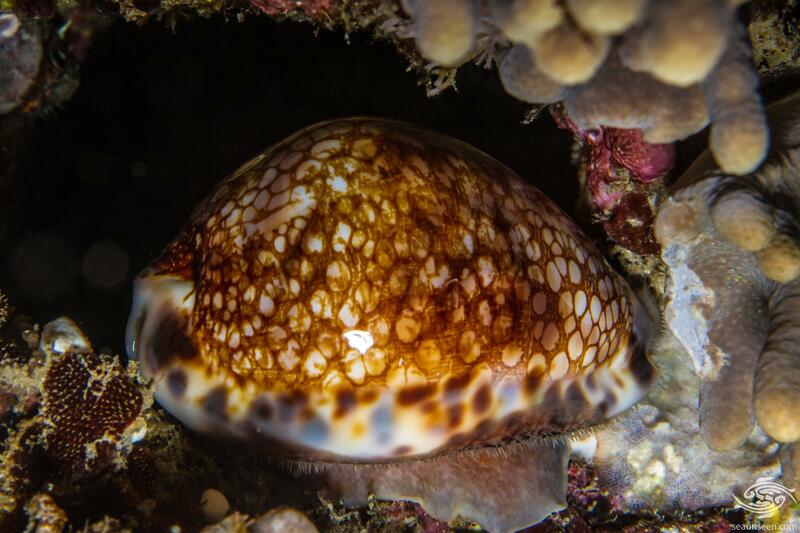 Mollusks such as leopard cowries and spider shells can also be seen. 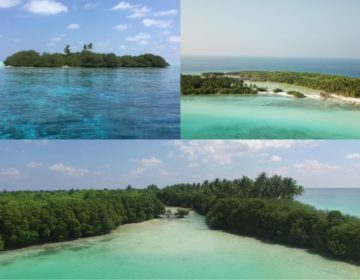 On the north side of Rangali Faru is a finger of reef protruding into Mandhoo Dhekunu Kandu. The reef slopes from three to 25 meters and caves on both sides. The bottom at about 30 meters is mostly sand. 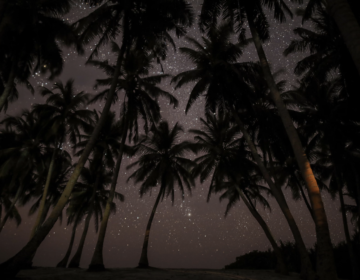 Dhigu Thila is a long, narrow thila lying east to west about one kilometer on the south side of Mandhoo Faru. It is 12 meters to the top and has caves at 22 to 25 meters on much of the north side. Turtles are often seen. This thila lies 100 meters to the north of Hurasdhoo. It is popular with day trippers who combine this dive with island picnics and snorkeling. It is popular with day trippers who combine this dive with island picnics and snorkeling. The thila is round and small and about 100 meters in diameter. There is one big cave on the northern side that has a good variety of marine life. This thila is one of the more interesting sites inside the atoll for grey reef sharks. 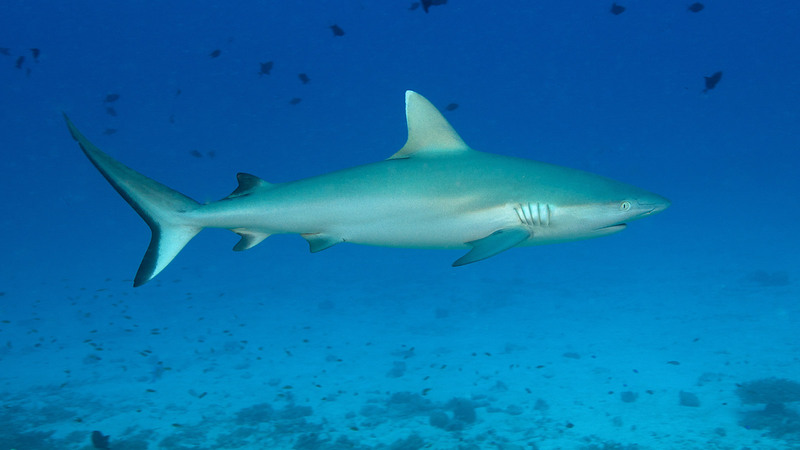 There are many species of fish including grouper, basslet, and anemone fish, freckled hawkfish, suckerfish, and flutemouth as well as snapper, fusilier, and trevally, but the main attraction is the grey reef sharks. 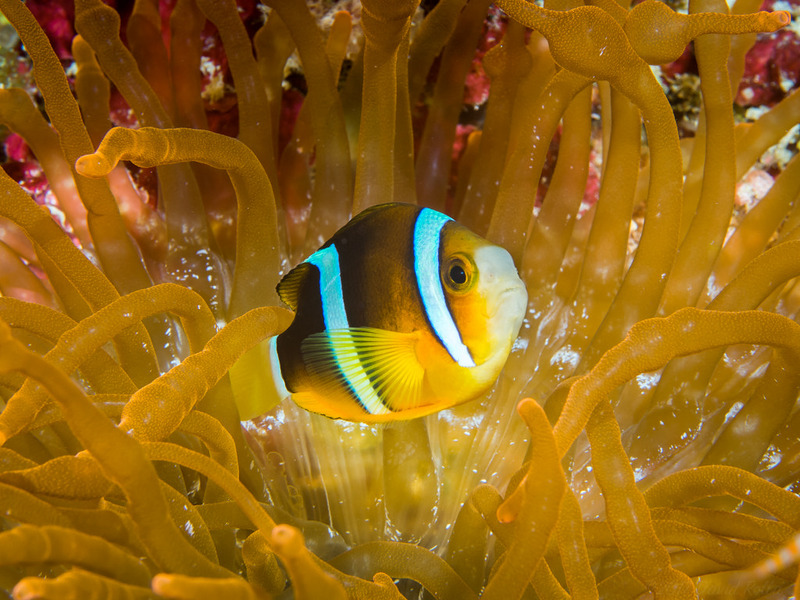 There are many species of fish including anemone fish. The whale shark, Rhincodon typhus, is the largest of all fish, reaching 15 meters in length. It is a plankton eater and harmless to humans. They feed by siphoning water into their wide-open mouth and through the gill slits to filter out plankton. 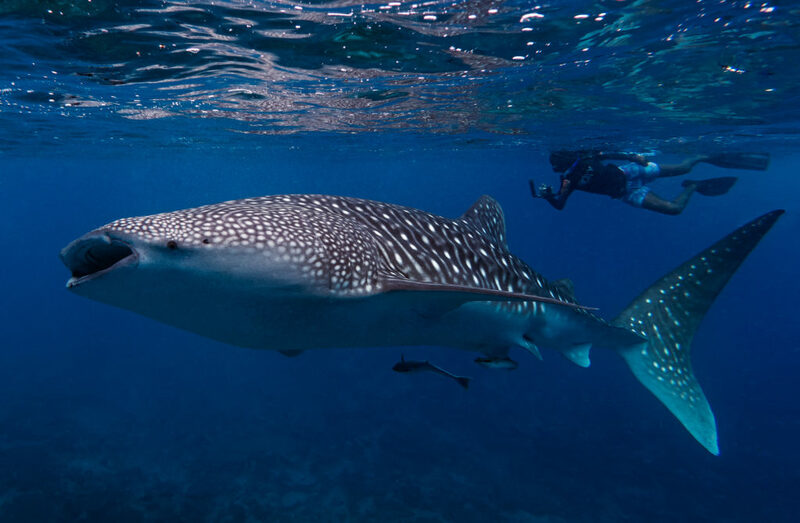 Whale sharks are usually seen cruising along in shallow water outside the atoll and divers fortunate enough to see one will find them curious and fearless. They sometimes allow divers to swim very close, but care and consideration should be shown in the way divers approach them. Diving boats should remain well out of their migratory paths and divers should not attempt to block their path or touch or ride them. If they are frightened, they will quickly depart and may not return. In early times, boat captains were very wary of whale sharks. If a captain saw one close to his boat, he would slap the water or the back of the shark with a stick for fear it would capsize his dhoni. Whale shark liver oil was used to waterproof dhonis, and also for medicinal and black magic purposes. See the whale and shark and more in one of the world’s most spectacular marine environments – click here to book!